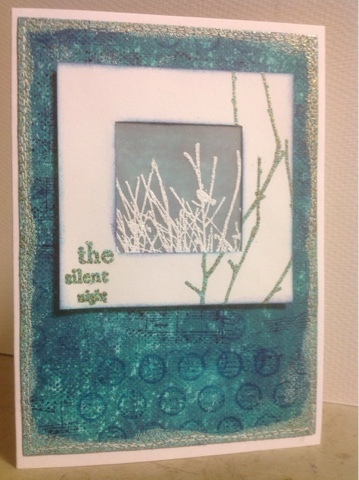 The Paperartsy masterboards challenge came at a fine point: I was stuck with a challenge entry and this proved a good starting point. 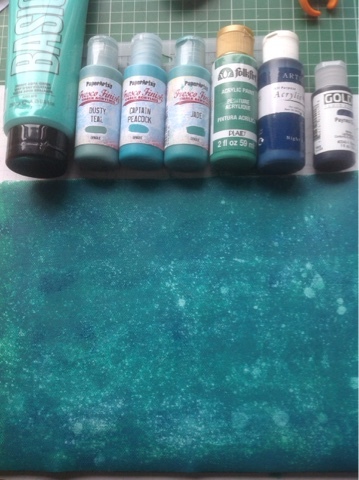 I started by spreading acrylic paints on a cheap sheet of canvas (bought a pad from Lidl for about nothing). I first used a brush, but the changed to a brayer. I wanted splatters of "snow", and found that a spray of water followed by brayering resulted the way I wanted. I continued with some background stamping. Stazon works surprisingly well on the uneven canvas surface. The music has been stamped with Midnight Blue, the writing circles with Teal Blue. Both stamps are from VivaLasVegaStamps. I cut the piece in four, and found that I had to do some more stamping, because I hadn't treated the center and edges of the masterboard in the same way... perhaps next time, I really need to do another one :). I used one piece for the challenge I had been stuck on (find it here) and made this card to show off here. 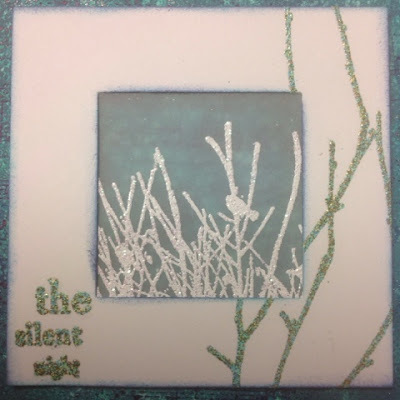 I used the new Sara Neumann Christmas stamps combined with the birds on twigs from Hot Pick 1009... and WOW embossing powders Sparkling Snow and Verdigris. The frame is from Crafty Individuals. 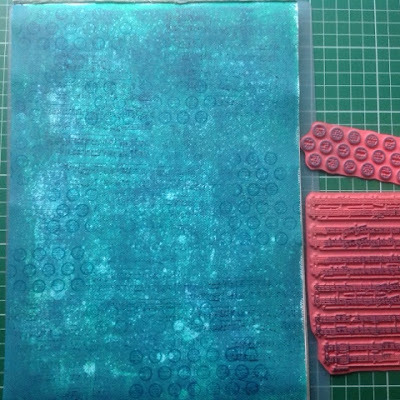 Love how those stamps fit together! The monochrome look is beautiful Kristina! I love your card!